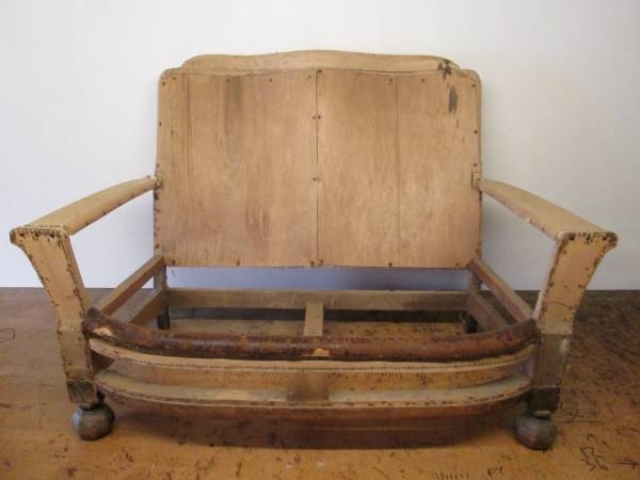 A lovely sized and styled two-seater with a serpentine back and bow front. Constructed from solid beech and oak. This Sofa is just going through full restoration with re-glued joints, the hexagon carved front legs have just been newly french polished and the new re-upholstery will be all upto the latest fire retardant safety specification. Please phone for more details and viewing. What fabric and colour can you visualise this lovely styled 2 seater in? Just waiting to look splendid again. Dimensions - height 82 cms, width 127 cms, depth 87 cms.